Positive Parenting is a term that has come to be very important to me. We try to be positive parents, and raise positive kids! 🙂 I have found Positive Parenting strategies very useful during challenging situations Generally it sits right with me, and helps me be the kind of mumma I want to be, and my children respond really well to it. 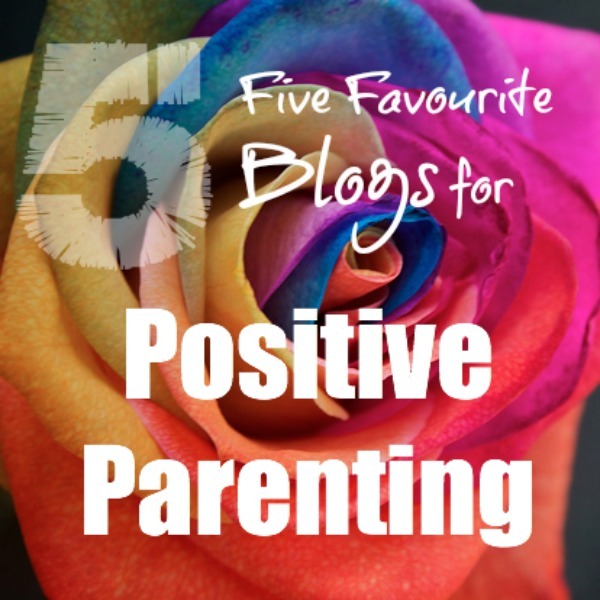 More than anything, it gives me confidence to do what feels right… so I wanted to share 5 of my favourite blogs that support me in my parenting day-to-day. Creative with Kids is such a great open and honest resource of ‘connected parenting’ ideas and thoughts. Every time I read a post I come away feeling better; less guilty, less isolated and always so inspired to be the best Mummy I can be. The Parenting Anger series is fantastic; Alissa writes in such a relatable way about problems and offers great solutions and possibilities with wisdom and humility. Finding Joy – Aside from the absolutely beautiful photos Finding Joy makes me think. And makes me appreciate my life. It does exactly what the title says – it makes me find joy in my everyday doings in motherhood. It is a collection of beautiful thoughts on family life and I love it. Janet Lansbury – people always say “I wish my child came with a manual” – well this is it, or at least it should be. It is just a wealth of positive parenting strategies to help you, and there is a solution to so many problems you may come across as a parent of a young child. Janet is so clearly knowledgable, and is supportive and non-judgemental, offering personal advice to specific problems. Taming the Goblin – The Monko, the writer of this blog, would probably definitely not describe her blog as a positive parenting blog – and it isn’t really because it is full of crafts and toddler activities too -BUT I had to include it because the wonderful parenting posts are so raw and honest and REAL that they provide so much comfort and support to me. Positive Parenting Connection – this is more or less a complete guide to positive parenting, providing guidance for many many parenting challenges; a great introduction to positive parenting if you are trying to find out more or for specific issues. What a great list and thank you so much for such an wonderful description and including Positive Parenting Connection on your list!! What a wonderful resource of positive parenting sites you have created here by compiling this list. All of these blogs are amongst my favourites. I’ve featured this post on my blog today asone of my favourites from last week’s Sunday Parenting Party. Thank you for linking up. Please come over and grab a featured at button if you would like one. So many good ones missing from this list – The peaceful parent institute by Genevieve Simperingham, Ahaparenting by Dr Laura Markham, Connection parenting by Pam Leo, Hand in hand parenting by Patty Wipfler, Little hearts books by LR Knost, Positive parenting: toddlers and beyond, The path less taken by Jennifer McGrail and more…I hadn’t seen the Taming the goblin one before and just saw a post about a reward chart she set up for her son’s aggression – not in line with the peaceful/positive parenting I follow. This is exactly what I looking for! Thank you for your time to share this list, Kat. I ever visit janetlansbury site before, but other list dont. I have been practicing positive parenting since my first pregnancy and find it very very wonderful. Just before giving any response to my child, I imagine me being in her shoes and talk accordingly. My personal spiritual practice such as meditation also helps me a lot. Thanks for this list too!! This is a fantastic list of blogs!